A Toronto airline excluded a local family from a flight, pushing them to spend an extra $4,000 on tickets, only to take the same flight the next day. 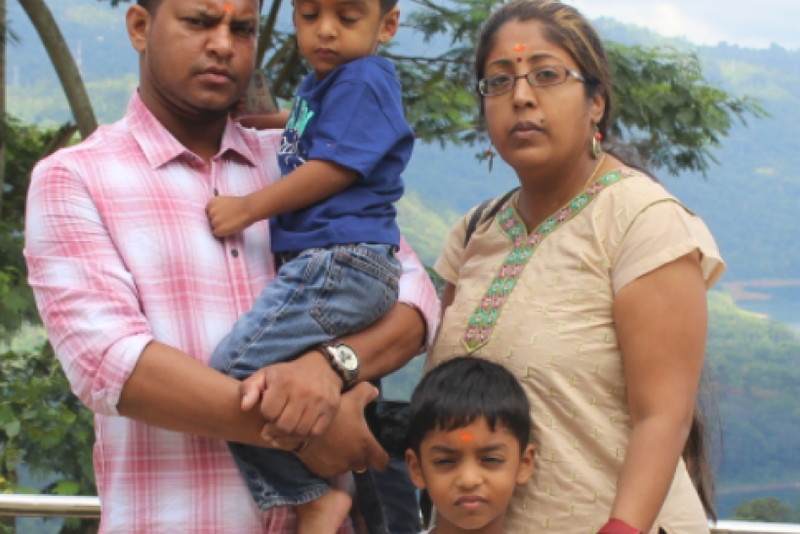 Air Canada prevented Shanty Thivakaran, husband Thiva Maheswaran, their two young boys and Maheswaran's mother from getting on a flight June 27. The airline manager stopped the family from boarding the flight — even though there were eight vacant seats, CBC News reported Sunday. The family arrived two hours early for their flight to London from Toronto's Pearson airport. "They're not willing to acknowledge that they're in the wrong," Shanty Thivakaran told CBC News. From London, the family planned to fly via Air India to Sri Lanka for a vacation, but their plan went awry when an Air Canada agent pointed the family to the wrong check-out line. About an hour and a half before takeoff, another agent redirected the family to the right queue, where three passengers checked in ahead of them for their London flight. An agent checked in the Maheswaran family, but stopped when a manager said a family of five was a "no-go." They assumed the airline overbooked the flight, but Air Canada told CBC the flight had eight vacant seats before takeoff. "We were so upset," Maheswaran said. "My mom's crying, the boys started crying. I was almost crying. It was an emotional scene." An agent directed the family to a ticketing line, where they assumed Air Canada would rebook their flight, but that never happened. They waited for an hour before the desk closed and were stuck. The airline then pointed the family to another check-in clerk who informed them she couldn’t assist them because she didn't have proper ticket training. "At that point, I didn't know whether to laugh or cry," Thivakaran said. "I never felt so helpless. I felt like I was banging my head against the wall." Thivakaran claimed the same manager they dealt with prior asked them to go home and that Air Canada could rebook them for another flight the next day. The family exited the airport at midnight and returned at 9.a.m. the next morning. They waited in the ticketing line for two hours, but when they spoke to an agent, she claimed she couldn't help them. The clerk told them the airline categorized their family as a "no show," meaning that they didn’t show up for their initial scheduled flight. The airline claimed they bought the tickets through a travel agency so they were marked as "private fair" and only the agency could fix the matter. The only resolution was to purchase a new set of tickets. "I paid rightfully for this ticket. I didn't buy it off the black market," Thivakaran said. The agent refunded their money and sold the family new tickets for an Air Canada flight the same day, which cost them charge fees plus added penalties for last-minute tickets. In total, the family spent $12,326.38 for their trip, which was $5,345.83 more than their original purchase. "This is money we worked hard to earn, and there's no reason why we should be ripped off," Thivakaran said. After they returned from their vacation, Thivakaran complained to Air Canada and requested reimbursement. Instead, the airline offered the family 25 percent discount on subsequent flights. "I just fumed," Thivakaran said. "That action on their part was just too little too late." The family learned their travel insurance will absorb the $1,350 they spent in fees. They considered legal action against the airline for the $3,995.83 extra they paid. The Maheswaran family wanted an apology and an explanation from Air Canada, too. But that might not be enough. 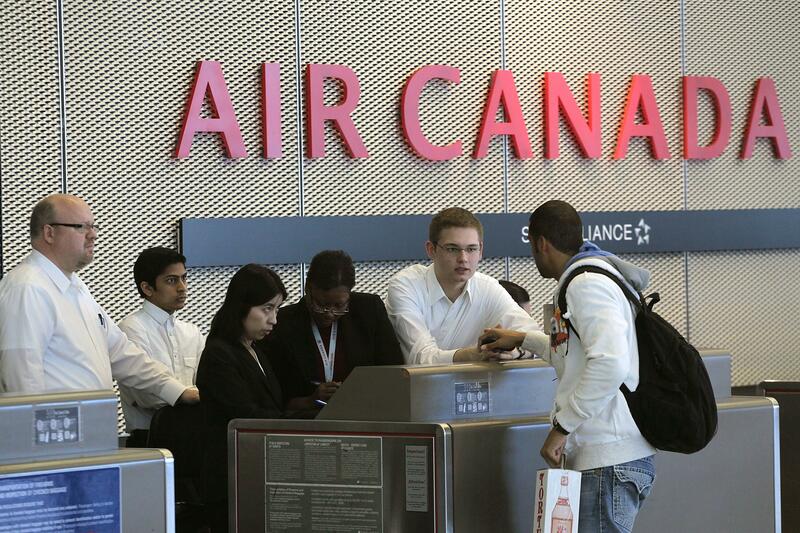 "I'm never traveling on Air Canada again," Thivakaran said. "Even if I was on my death bed and I needed immediate treatment in U.S., I'd rather die than go on Air Canada." How Much Do Boeing Airplanes Cost To Make?